People have long speculated about the nature of the friendship between Jean Armour and Nancy Maclehose, one the wife and the other the mistress of celebrated Scottish poet Robbie Burns. They met briefly, long after Burns’ death and Shonagh Murray’s new musical suggests the conversation that takes place. 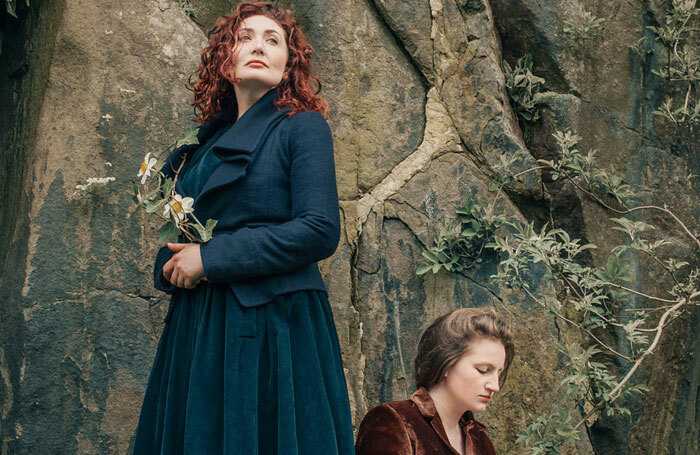 Armour: A Herstory of the Scottish Bard is a timely reminder that Burns’ international celebrity owes much to the patience, understanding and fortitude of the women who inspired him. Murray’s gently soaring score fuses some of Burns’ most popular pieces with her own writing to present a tale rich in musical detail. As Jean encourages motivation in her granddaughter, she convinces herself to accept an invitation to tea from her husband’s mistress. Following polite exchanges, a tentative bond emerges between the two women and with the addition of a wee dram, they dish the dirt on the man they loved and miss. Armour is an exceptionally mature piece of writing. It’s sentimental without being schmaltzy, and is underscored with a strong, feminist message that’s as valid today as it was then. Lori Flannigan, Lydia Davidson and Bethany Tennick bring warmth and sincerity to the book and lyrics and, despite the privations of this modest production, Armour oozes potential.